"Some people don't have dads. There're all kinds of families." 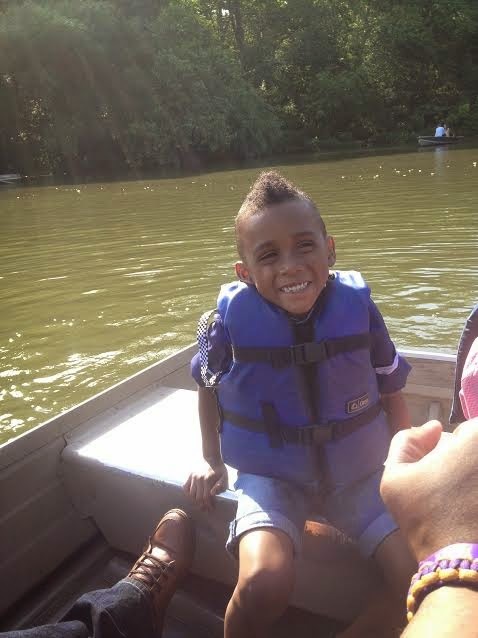 Such was Aiden's response when a little asked him, "You don't have a dad?!" 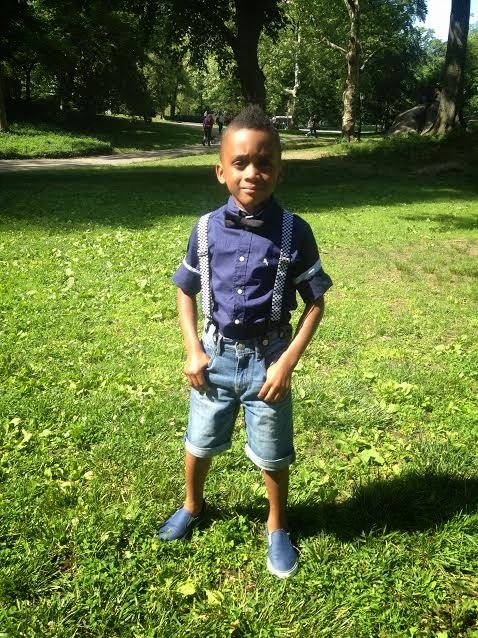 Eiher way, this didn't stop Aiden from rocking an urban prepster look for Father's Day as we went to church, brunch, and a boat ride through Central Park with The Guy (and his son). 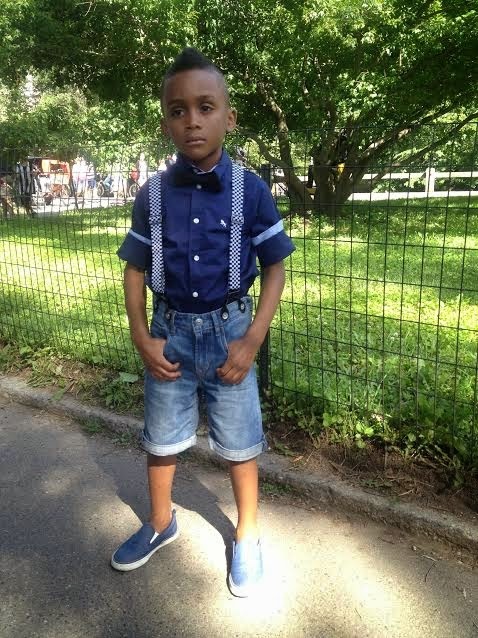 At first, I wasn't too sure about the man capris look, but once I paired them with gingham suspenders, a bowtie that featured scull details, and denim slip ons, the kid looked like a trendy, urban prepster. Not too shabby. Hope you all enjoyed your Father's Day with the significant guys in your life. Have a great week! Stay stylish! oh. my. goodness! 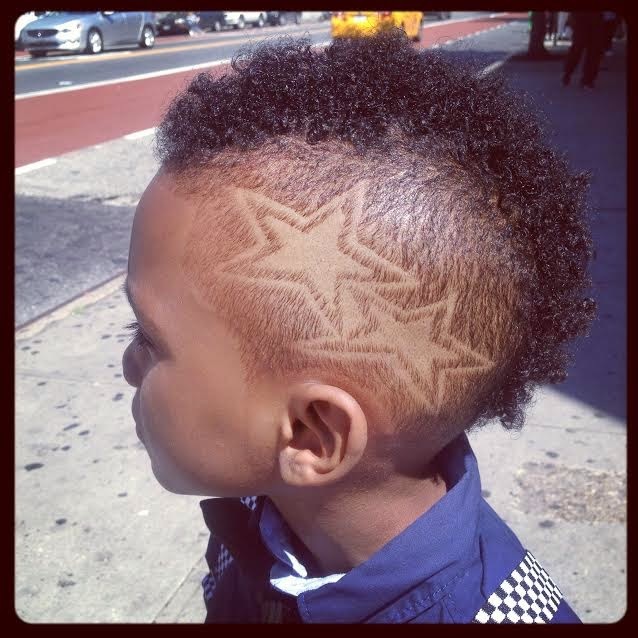 You're little man is sooooo adorable and stylish (and apparently wise beyond his years). 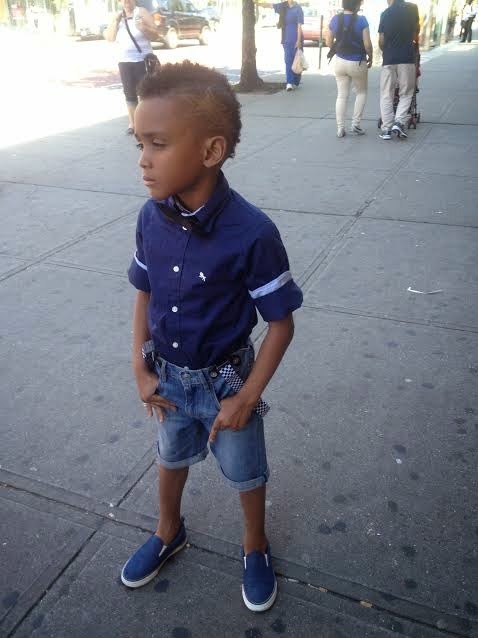 I love this look....makes me want to have a little boy to dress.